At Central MN Senior Care, we believe seniors should enjoy active, healthy, and engaging lifestyles, no matter what their age or health may be. We follow through on this belief with exceptional commitment to each individual. Our staff is committed to meeting the security and individual needs of all of our residents. Not only is our staff specially trained and experienced, they are also kind, compassionate and engaging. 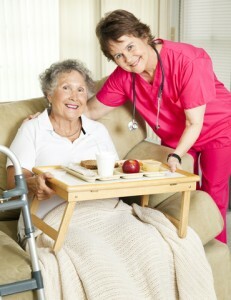 Our licensed nursing staff is available 24 hours a day. The services offered at Central MN Senior Care enable our residents to ease into a new lifestyle, while giving their families the confidence of knowing they are happy and well cared for. As a result, families can spend quality time visiting loved ones rather than worrying about their health or arranging for their care.